If you are in constant pain and see no relief ahead, look no further than Dr. Mike Motel. He is young, passionate, new to town and a breath of fresh air to the practice of chiropractic care. Look no further.  Convenient downtown Bellingham, WA location and a practitioner of the Gonstead Method. Chiropractic care has been part of my regular wellness routine since 2010. Since then I have gone through many life situations that entailed high stress and a lot of such stress making my body constantly hurt. Upon learning of moving to Bellingham, one of the first few things I did was google Gonstead practitioners, and of course came up empty handed. Well at least this was as of March of 2015. At such time, there was no Gonstead practitioner in Bellingham, WA. When I was making my appointment with the closest practitioner in Mount Vernon, she put me on hold and came back to tell me that she remembered that there was a new Gonstead practitioner who actually got adjusted at their office, but she was pretty sure he was in Bellingham. This was the best news ever! Low and behold and yes, a new doctor had opened his practice and he practiced the Gonstead method! This was Dr. Motel, who prefers we call him Dr. Mike. Since my first visit on July 31, I have been in great hands! The Gonstead method is a method of chiropractor care that only targets the areas that need to be treated, a.k.a. adjusted. I use to see a chiropractor that would adjust me from head to toe at EVERY visit and I never got better. Dr. Mike is professional, knowledgeable and honest. He takes the time to thoroughly examine his patients, reviews their x-rays multiple times as a reference and explains his findings and what his treatment plan is. And the best thing, be sides Dr. Mike is that often times he brings his dogs to the office! They make the adjustment that much more enjoyable. And by chance, Dr. Mike’s fiance is a local veterinarian- whom now treats my two fur children! My entire family is in such great hands! Bellingham is lucky to have attracted such great talent to the area!